As a child Pat entertained herself and others making up stories and putting on plays. Law enforcement is in her DNA: her father served as a police officer and completed a distinguished career with the FBI. She became an FBI employee herself for a brief period. She graduated from the FBI Citizens’ Academy in 2009. Her career experiences include: executive assistant in hospital administration; managing a banking telecommunications network; bank security operations; computer technology. She became president of her own computer company in 1991 and sold the business in 2006. Her first mystery, The Easter Egg Murder, came out in February 2013. C&D: Where were you born and where do you call home? 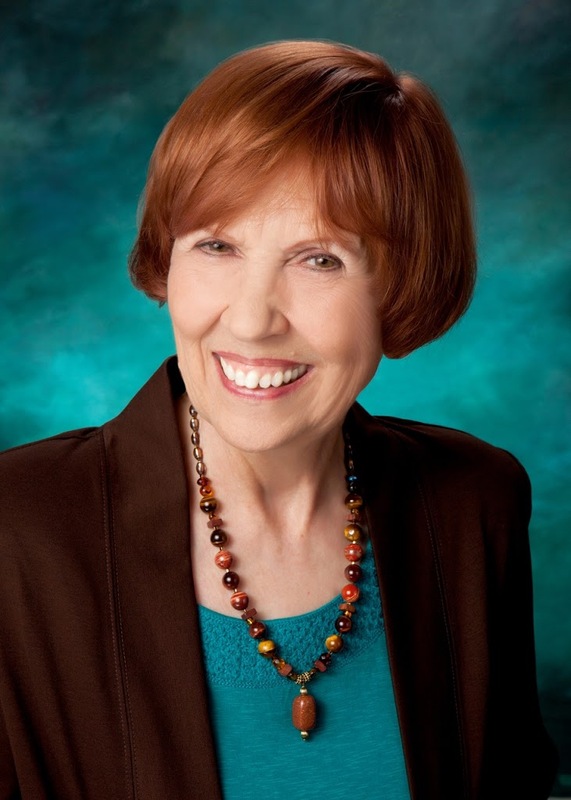 PSW: I was born in Fort Worth, Texas, and call Albuquerque home. C&D: Share something that has just happened or is about to happen in your life. PSW: Something that just happened in my life is my first book signing at Treasure House Books & Gifts in Old Town, and we sold 30 books in two hours! C&D: What is your most recent book? How would you sum it up in 30 words or less? 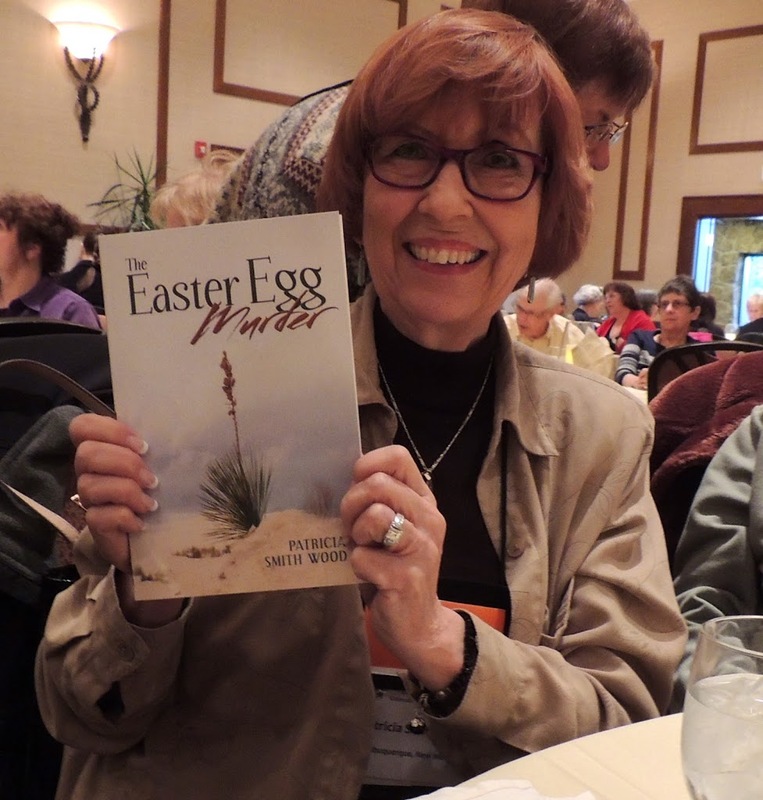 PSW: My most recent book (and my first) is The Easter Egg Murder. It’s a highly fictionalized story based on a real cold case murder in New Mexico in 1949. In that crime, the murderer or murderers were never identified. In my telling, the murder happens in 1950 and it’s solved in 2000. I change most details and supply the answer to who done it! C&D: Why did you choose that particular cold case? PSW: I became interested in the unsolved murder of Cricket Coogler when I was a teenager. At first I think her name drew me in. As I learned more, it seemed so sad that this young woman’s death was all but lost in the ensuing federal civil rights case, and the downfall of some New Mexico politicians of the era. I spent hours listening to my father talk about it. Then I had a friend who I discovered went to school with Cricket. After that, I heard more details and behind-the-scenes accounts of what Las Cruces was like back then, and how the people reacted to the death. I got this information from a former Las Cruces newspaper reporter. And finally, I discovered that Tony Hillerman came to New Mexico shortly after the murder and he became intrigued with the case. He was a reporter for the New Mexican in Santa Fe and learned much from that experience. Later I found a video production about the murder in which Tony gave an interview about the case. At last I came up with the premise for my mystery and set off to write it. C&D: Who designed the cover of your book? PSW: I was very fortunate with my book cover. I submitted some ideas and the designer liked my photograph of a Yucca plant at White Sands. I was very pleased when they decided to use that as the cover. C&D: Do you have plans for a new book? Is this book part of a series? PSW: I have the second book in the computer and I’m working on it. It is part of a series. C&D: What books have influenced your writing? PSW: I devoured the Judy Bolton mystery series when I was a teenager. The dream started then. C&D: Where do you prefer to buy your books? PSW: I purchase many, many books at author book signings. For books about New Mexico and/or by New Mexico authors, I shop at Treasure House Books & Gifts. They are the only bookstore in town that reliably stocks local authors. If I need specialty books, I get them from Amazon. C&D: Are you a self published (Indie) Author? PSW: I am not self-published. I received a contract from a new publisher, Aakenbaaken & Kent who just celebrated their first full year as publishers. Mine was one of seven books they published this past year. C&D: Is there a particular movie that you preferred over the book version? PSW: I’m a huge fan of the movie Somewhere In Time with Christopher Reeve and Jane Seymour. I’ve seen it dozens of times and visited the Grand Hotel on Mackinac Island for a Somewhere In Time weekend. There is bought the book the movie was based on. The movie was vastly superior. C&D: What book are you currently reading and in what format (eBook/paperback/hardcover)? PSW: I’m currently reading a passle of books on Kindle, and one print book by Catriona McPherson. The Burry Man’s Day is from a series set in the 1920s featuring a female protagonist/amateur detective of wealth living in Scotland. I met Catriona at Left Coast Crime in Colorado Springs in March. She moderated a panel I was on and she’s quite a gal. One of her books in the series won the Bruce Alexander Historical Mystery Award this year. C&D: Do you write under a pen name? PSW: I toyed with using a pen name and even came up with one, but in the end decided to use my maiden name with my married name. C&D: Where and when do you prefer to write? PSW: I prefer to write at night. That could be because that’s the only time I had for many years. Now it just seems to be when the words flow better. I usually sit at my desk and use my Mac. Occasionally I curl up in the recliner with my MacBook Pro. C&D: Where is one place in the world that you would really love to visit someday? PSW: One place in the world I would like to visit is the Valley of the Kings in Egypt, but I’m not adventurous enough in today’s unrest to do that. PSW: My favorite quote is from Mark Twain: The difference between the right word and the almost right word is the difference between the lightning and the lightning bug. C&D: Is your book in Print, eBook or both? 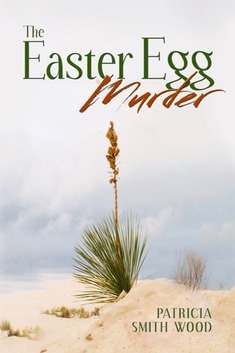 PSW: The Easter Egg Murder is available in print and on Kindle from Amazon.com, in print from Barnes & Noble.com, and can also be purchased at Treasure House Books & Gifts in Old Town Albuquerque. C&D: Where can your readers follow you? I also have an author page on Goodreads: www.goodreads.com/PatriciaSmithWood. Thanks for the opportunity to appear on the Croak & Dagger blog. It was fun!